Facebook groups have become places where I like to interact with other cooks, writers, and authors. What I like about Facebook Groups is that the people who are there and who participate in the group want to be there and choose to participate. The groups are also a nice place to ask questions, gather current information about your topic of interest, and meet others (from all over the world) who share your interests. 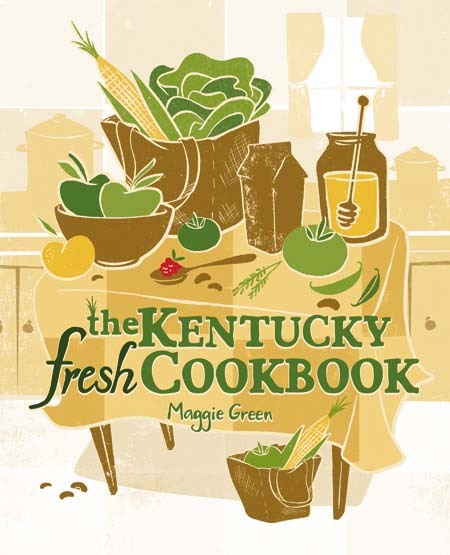 I’ve mentioned the Cookbook Writers Facebook group before. That is how I came into contact with Gintare. What I like Gintare’s beautiful work is that her interest and skill in photography and design and comes through in her work. Take note in this interview that Gintare reveals that due to the visual appeal of her work, one of her favorite and most successful social media platforms is Instagram. Keep in mind for your social media use the ideas of where your audience hangs out and what platform highlights your content best. I agree that Instagram works to highlight Gintare’s work. Please join me in welcoming Gintare, for the latest installment of my Cookbook Author Interview Series. 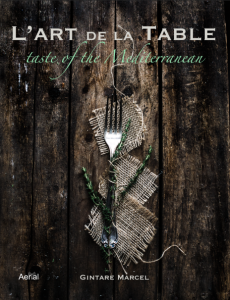 My latest cookbook is L’Art de la Table: Taste of the Mediterranean, published by Dutch based Aerial Media Company. It was published in June 2015 in Europe and just reached US a few months ago. No, I have three others. I have published three cookbooks before. Two (Gems of the Cold and Sunshine Delights), were ebooks focused on different seasons. I have published myself via my blog and Amazon. Flavors of Provence was published in my home; Lithuania with a local publisher. I love telling stories. Writing cookbooks, most of all the latest one, L’Art de la Table: Taste of the Mediterranean, was a way to bring together my passion for food, writing and visual arts. With my cookbooks I want to take my readers on a journey to place, to give an experience that goes along the food and recipes, to bottle up the experience of the Mediterranean so you could enjoy it once you are no longer there. Do you have a food blog? If so, was your blog a driving force in obtaining a contract? I’ve been writing a food blog – Gourmantine – since 2010. While it certainly helped, I think having two ebooks was a great way of showing a body of work. I am also able to cover the whole creative process from writing to photography and design, which helps immensely too. It’s quite an unusual story. I had already two ebooks published when I got an interview feature in a magazine, and I got a call from a publisher a few days after it came out in Lithuania. We decided to make a Provence-inspired cookbook, but to publish only in Lithuanian, but as I had the manuscript written in English, I thought it would be great to publish it in English too. I was living in The Netherlands then and came across Aerial Media Company who very kindly agreed to meet with me, and the rest is history. 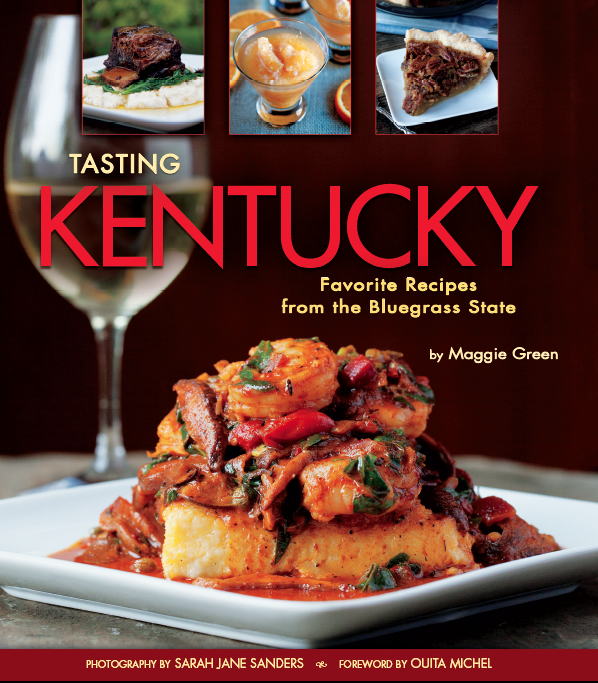 We took my manuscript as a stepping-stone and developed much further into a cookbook I’m very happy with. I don’t think a blog is crucial, but it is important to have a platform. Writing and publishing a book is just one part, the next question you have to ask yourself is how are you going to promote it? It can be a blog, Facebook or Instagram, but also a restaurant, cooking school and etc. I tend to use Instagram the most. I believe all things become much less daunting once you begin to understand them. It is very important to understand how the system works and what are your options in it and fortunately there is so much material available. I believe everything is possible once you put your mind to it. Having said that, it is easier once you have a platform or a body of work to show. Go for it! Set a goal and take one step after another towards it. If you feel comfortable in negotiations, approach publishing houses directly. That may not work with large ones, but a lot of small ones do like to have direct contact with authors. Otherwise get an agent. One thing to keep in mind is to choose agent/publishing house that shares your values and standards. There are many ways you can have a book published, so be sure to choose the people that will do justice to your work. I think starting a blog or sharing via Instagram is a great way to get your ideas out to the world and also to get feedback on them, which will help you grow and improve. It’s also a good idea to publish an ebook, even if it is very small, to be able to showcase what you are capable of. The actual process of self-publishing is very straightforward and it takes only a few minutes to upload and publish it on Amazon. I use Scrivener for writing and assembling books and then they are ready to be uploaded wherever I need them to be. I’m a terrible perfectionist, so for me the biggest challenge was realizing there was a point where you have to let it go, even though you’re still getting ideas how to improve it. I heard once that a book is ready not when there is nothing more to add, but when there is nothing more to take away. Definitely the reception part. You put a part of your soul into the pages you write without knowing how they will be received and that is terrifying.